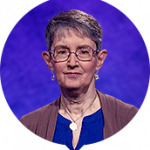 Correct response: What is The Canterbury Tales? William Caxton is known today as the first British printer, setting up his own printing press in London in 1476. One of his first books was the first printed edition of Geoffrey Chaucer’s The Canterbury Tales. A second edition, with woodcut illustrations, was published in 1483. You can find more information about Caxton’s editions at the British Library. 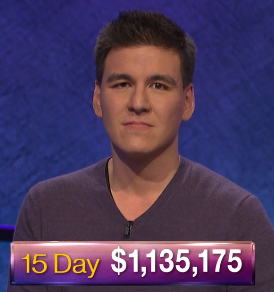 I’m sure that a number of viewers who look at Clue of The Day were surprised by this. 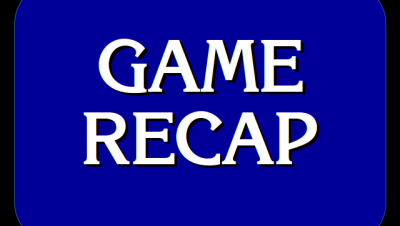 Of course, “Penelope Cruz” in the “My Country (Of Birth)” category was a clue in the Jeopardy! round. 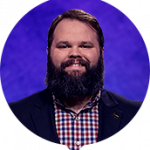 9 Comments on "Today’s Final Jeopardy – March 26, 2018"
I haven’t followed the NYT “Clue of the Day” that long, but are days with a FJ visual clue the only times that another clue is substituted? When I saw it early this morning I figured something was up. Generally, yes. However, I’ve seen it with “controversial” Finals as well, but Manchester-by-the-Sea was Clue of the Day, and I’ve also seen clues with tangential visuals be Clue of the Day as well. The best way is to check J!6 for a category match. 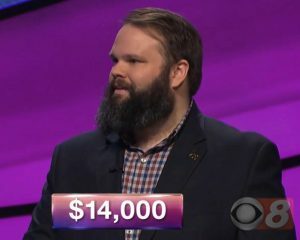 I turned on today’s program, March 26, during Final Jeopardy. I noticed that the returning winner, Mr. Mohabir, wasn’t present. What happened to him? I love the show. This is the time I’ve I visited your website. Thanks so much. 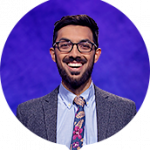 Any contestant who finishes Double Jeopardy with a score of $0 or below, by rule, does not participate in Final Jeopardy. Did Alex say the final answer would be a video? For the purposes of the show, any clue with a visual portion (whether that be a still or a moving image) is considered a video clue, as a video monitor is required in order to display it. Is a Triple Stumper later ruled correct, as when “spirit quest” was deemed acceptable for “vision quest,” still counted as a Triple Stumper in your stats? A Triple Stumper later ruled correct counts as a correct response and not a Triple Stumper. I thought that was a deliberately misleading Final. 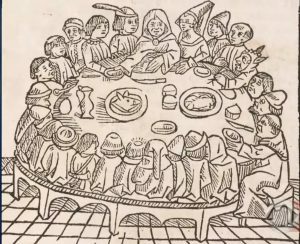 Clearly, it’s a round table, which would lead many to think it had something to do with King Arthur. Sure, when you look at it after the fact, you don’t see any knights, something that might make you rethink your answer. But–give me a break!–even the first-published date of “Morte d’Arthur” is 1485. I’m as mad as hell, and I’m not going to take this anymore!